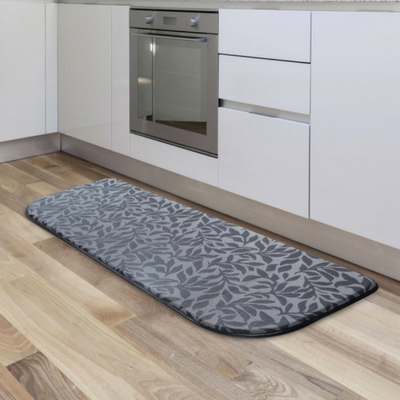 At first glance Anti-Fatigue Mats don't seem that exciting - they're a mat for your kitchen. BUT, if you've ever tried one you know why they're a big deal. When you're entertaining or cooking a big meal, or heck, even just making a regular dinner after a long day, your feet, legs and back can start to ache. An anti-fatigue mat works to combat this discomfort. And yes, they really do work ... really well! 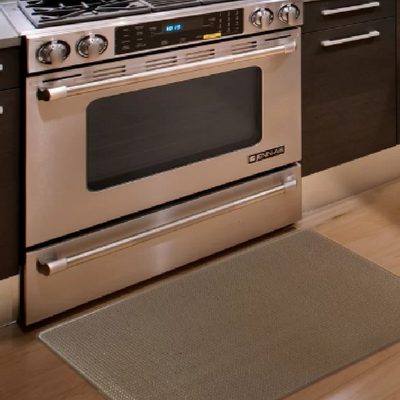 *Kingston Solid Anti-Fatigue Mat $30.99 (was $90.99) @ Wayfair.ca - hurry, this is a great deal for this mat (it's also ranked below as one of our top picks)! 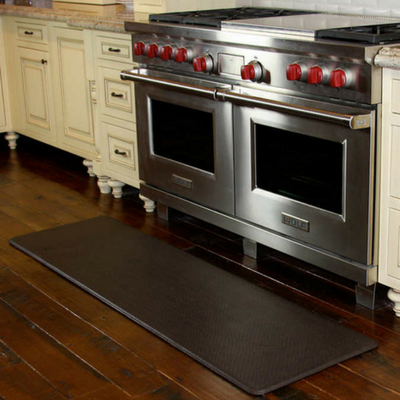 Since there are a lot of them on the market, and prices can range quite a bit, we've put together a list of the best kitchen anti-fatigue mats out there. Take a look! 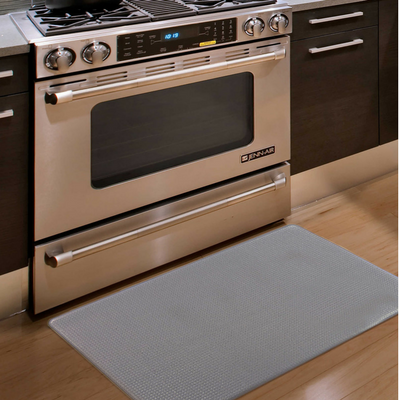 The iCustomRug Anti-Fatigue Mat made our list for a number of reasons. It has received great ratings and reviews, and is available in a variety of colours, making it easy to find one that will go with your kitchen decor. You won't need to worry about spills or splatters because it is stain resistant and easy to clean. It also ships flat to be sure there are no creases. The Kingston Solid Anti-Fatigue Mat is another favourite of ours. Available in six different, solid colours, it has a 100% vinyl cover, PVC foam filling and polyester backing. It can be used on any type of flooring, and also receives great reviews. Nice and long, the KSP Textaline Leaves Anti-Fatigue Mat allows a larger space to work more comfortably. It has a nice pattern while still being neutral enough for any kitchen. A more expensive option but worth every penny. The Imprint Cumulus9 Anti-Fatigue Mat features a proprietary multilayer cushioning system where the soft, upper layer cushions your feet while the firm, lower layer provides support. Available in black, espresso and cinnamon colours, it also comes in two sizes. Size: 26" X 48" and 26" X 72"
If you're looking for a simple, no-fuss version that is inexpensive, the Great Bay Home Anti-Fatigue Mat is the one for you. There are 6 colours to choose from, it's durable and the price is defintiely right. Do you have an anti-fatigue mat? Tell us about it, and where you got it, in the comments below. - might help for dropped dishes and these are super comfy. When have i ever bought something for either of our houses before running it by you?! This is in the list though! Joli! Tu m'en as acheté un c'est ça? J'ai failli t'écrire la même chose! Oddly I was just researching buying one today. Anti-fatigue mats are currently on sale at Oxford Mills Outlet for $12.00 until March 13. They are 18" x 30" and come in 4 patterns/colours.